Summer is undoubtedly the most laid-back and lazy of seasons, demanding quick, delicious dishes to cover your table and feed your guests. For this, Panettone is the simplest of yuletide delights, best enjoyed delicately sliced into long, skinny wedges with lashings of creamy mascarpone and a glass of sweet wine on the side. Its roots may stretch as far back as the Roman Empire, but the high-domed, enriched Christmas bread as we now know it was first made popular in the early 20th Century in Milan. It takes around three days to make a good-quality loaf, 20 hours of which are spent slowly raising the dough, and a few more spent beating in the rich mixture of sugar, butter, fruit and nuts to achieve a light-as-air texture. Characterful flavour is developed in the cake bread by using a well-matured biga, or starter, some of which have been in baker families for years. Encased in luxury boxes that take centre stage in any kitchen, Panettone makes the perfect Christmas treat for your family, as well as an impressive gift for a friend. We’ve wrapped up our own batch of Panettone, sourced from Italy, in the signature Babylonstoren style with an elegant Delft pattern and a beautiful blue bow. Get yours to enjoy or to gift on our online shop. We share our favourite quick recipes to dress up a Panettone cake for easy, yet elegant, Christmas entertaining. Slice off the top dome of the Babylonstoren Lekker Panettone and cut a hollow in the cake. Fill hollow with scoops of ice cream and smooth down. Cover and freeze. 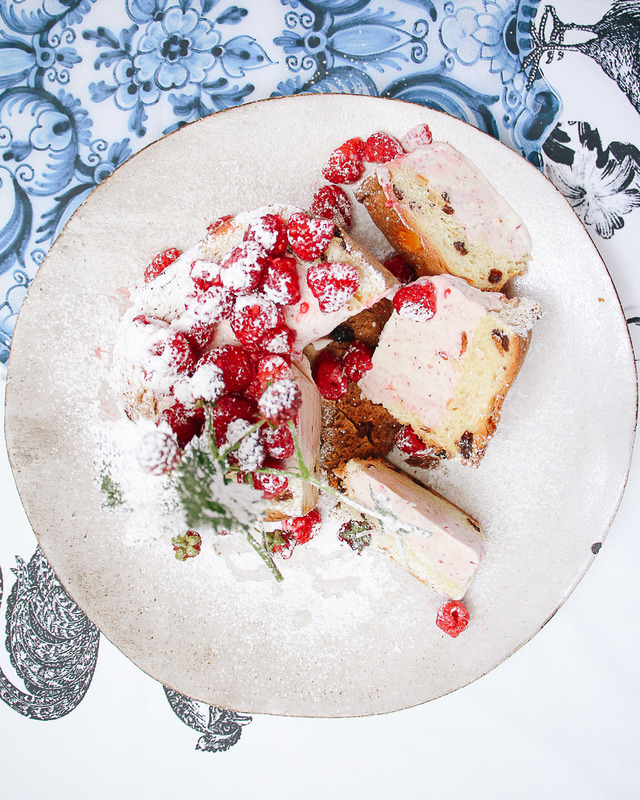 Unwrap and garnish with fresh berries and a dusting of icing sugar. Variation: Instead of ice cream, substitute with fruit salad or whipped cream with blueberries. Slice Babylonstoren Lekker Panettone loaf in four along its length. 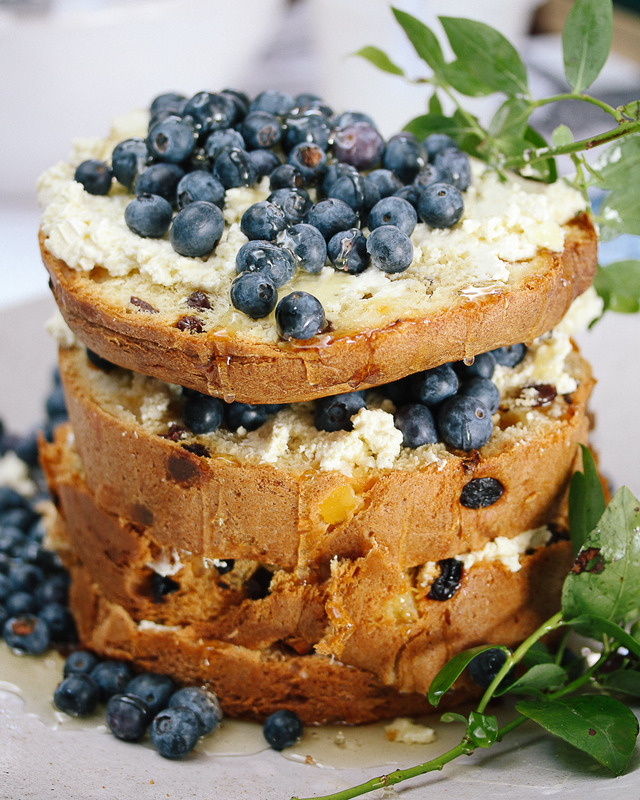 Spread Babylonstoren ricotta across the bottom slice and scatter a handful of blueberries over the ricotta. Cover with another slice of Panettone and repeat until all slices are stacked. Finish with a dollop of ricotta, a smattering of blueberries and a drizzle of Babylonstoren honey. Variation: Substitute mascarpone for crème fraîche or almond butter icing and any other berries, if desired. 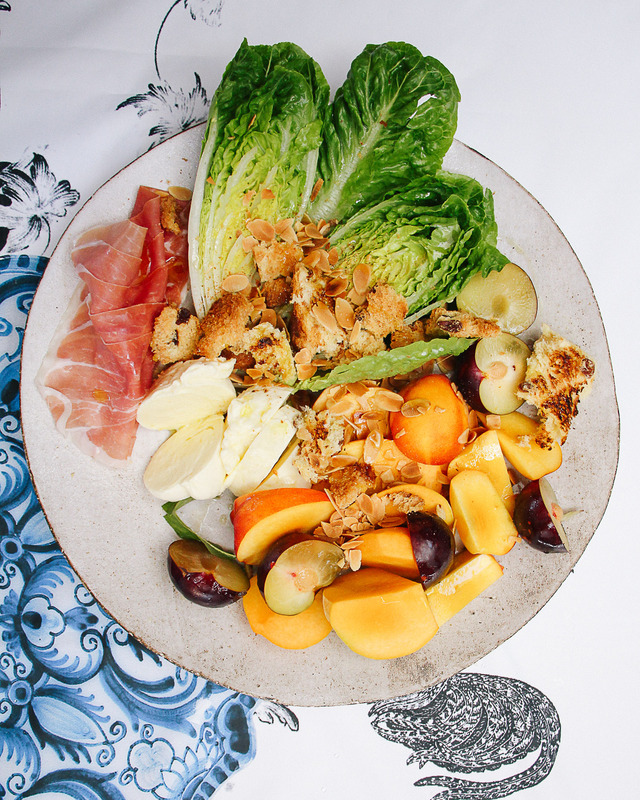 On a large plate, arrange a halved cos lettuce, creamy balls of Babylonstoren fior di latte, a few sliced peaches, halved plums and delicate slices of prosciutto. Scatter over toasted leftover pieces of Panettone and toasted almonds, and dress with a squeeze of lemon juice and a drizzle of Babylonstoren extra-virgin olive oil. Dankie. Beslis inspirasie vir Kerstafel. Geseënde Kersfees. Looks absolutely delicious. I will be making the cake with blackberries and the ice cream cake! I have gifted Panettone to my friends and neighbors for years. It’s my favorite. I love the recipies. Thanks so much.